If you plan on taking a road trip by way of campsites and state or national parks, the gear you bring along for the ride really has the potential to make or break the entire experience. First of all, you’ll need durable and reliable camping gear - but don’t forget safety items, organization tools and more. Since camping gear is always being reworked, rethought, and reinvented, we decided to ask around and find out what the latest and greatest camping components are to help you pack for your next camping road trip. In this list, we talked to experts from a variety of different fields to find the best new products for camping, organizing and cleaning, cooking on the go, and much more. We even included some of the best new toys and games to bring along for the car ride, or the campsite. You’ll even find new items that will help your furry friends get the most out of the motorway. With the help of this list, you’ll be ready for anything whether under the stars or under the streetlights. The Acme Made Divisadero Traveler Backpack is modern, lightweight and a travel friendly bag and includes plenty of storage for all your work and travel needs. Transition from the office to your camping vehicle, setting off without the need for another bag. Divisadero Traveler Backpack offers ample storage, padded shoulder and back support. All while having the security and peace of mind that your devices are protected in our padded and quilted pocket. 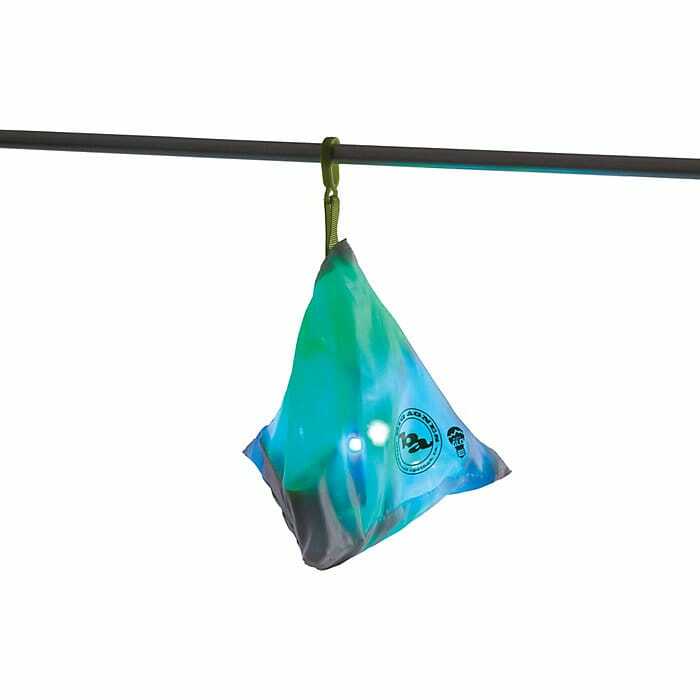 The Big Agnes MtnGlo Tent and Camp Light is a versatile LED lighting option for inside the tent or around the car campsite. It’s a great portable lighting option for car camping. The triangular case also doubles as a lantern - the clip on case can be utilized to hang the light as a lantern. Four plastic clips on the light strand allow you to customize your lighting experience. This air mattress takes camping comfort to another level. 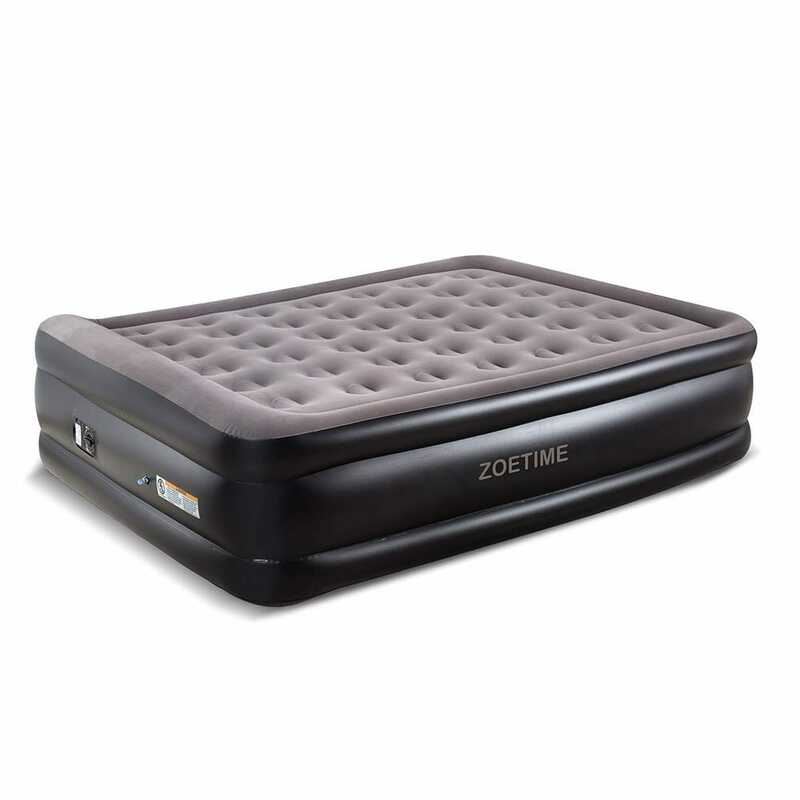 Made with comfortable, durable, lightweight materials, this airbed supports your body while maintaining its firmness and shape. It folds up to a conveniently compact storage size, and even includes a control dial to adjust the firmness of the mattress according to your preference. 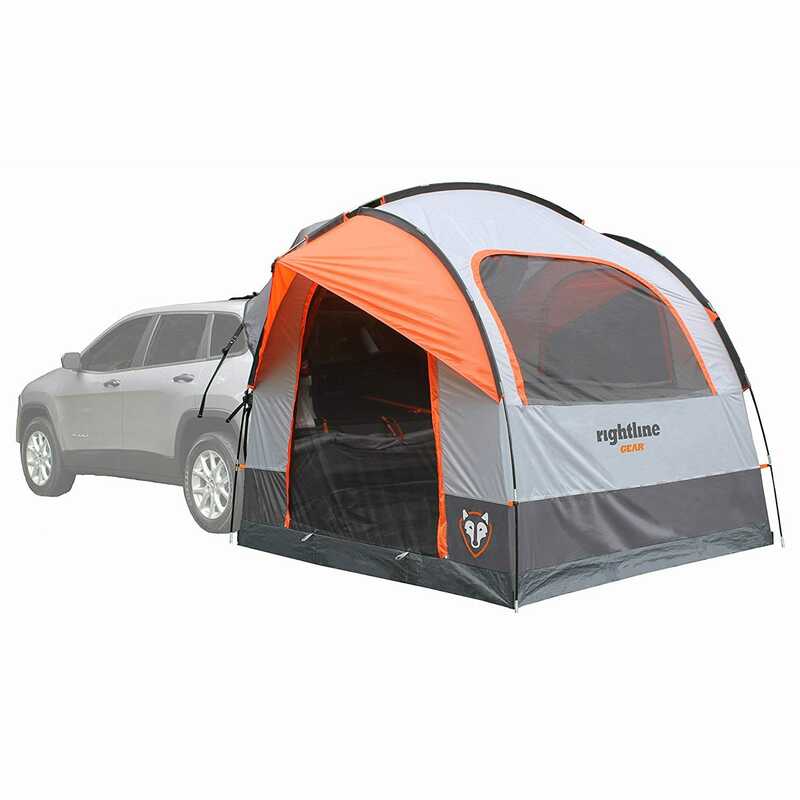 This tent allows you to sleep in the comfort of your car, greatly expanding sleeping space and it is easily connected or disconnected from your vehicle for maximum comfort and portability. The tent sleeps 4 adults and the vehicle cargo area sleeps 2 adults. The tent features a PE bathtub floor and no ground tarp required is required. Along with the tent, you also receive a rainfly, carry bag, and sewn-in set up guide. Atom Compression Wear has compression socks made from milk fiber that are great to use when traveling by car. The benefits of compression socks, sleeves and shapewear are well known by medical professionals around the world as graduated compression (18-22 mm Hg) provides an approximate 30-40% boost to circulation of blood flow back to the heart. Atom compression socks knitted with milk fiber have unique properties, which are naturally derived without addition of chemicals or materials which may affect sensitive skin. The milk fiber makes the socks soft, and very easy to put on, compared with standard synthetic or cotton compression socks. You will notice a huge difference in the ease of wear and comfort factor. Lanati Milk fiber is naturally antimicrobial, so it keeps your socks fresh and your feet don't smell. It is also a very cooling fiber, great in hot weather for people whose feet are naturally hot. The fibers are moisture wicking, again keeping feet dry by carrying sweat away and they also have UV protection properties. They are also moisturizing, so they will not dry your skin out, or give that itchy, scratchy feeling. Tired neck or sore back from sitting for too long? Here's a game changer for any road trips. 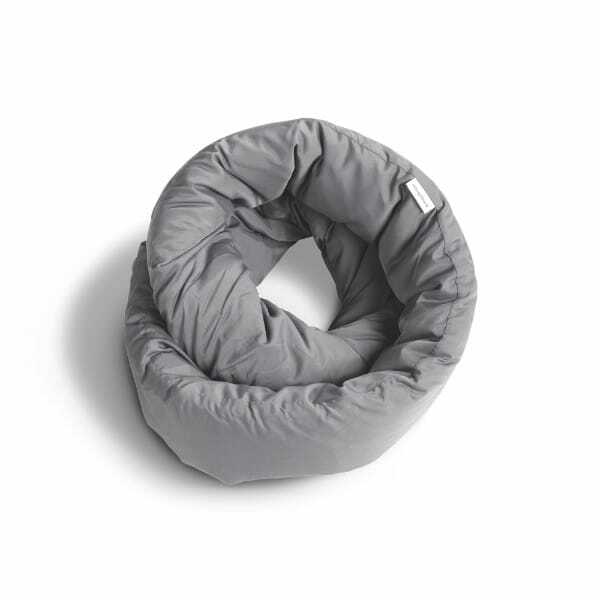 Designed after the Möbius shape, Infinity Pillow twists and turns and cuddles right back with you. It’s adjustable, cool and incredibly breathable. The best travel pillow ever made. One often forgotten item is a first aid kit, and while it's good to have some Band Aids and Neosporin lying around, they won't help if someone cuts themselves with a knife or hatchet -- or worse. North American Rescue has developed the nation's first verbal-assisted first aid kit designed to help untrained people deal with the most frightening injury of all: bleeding. 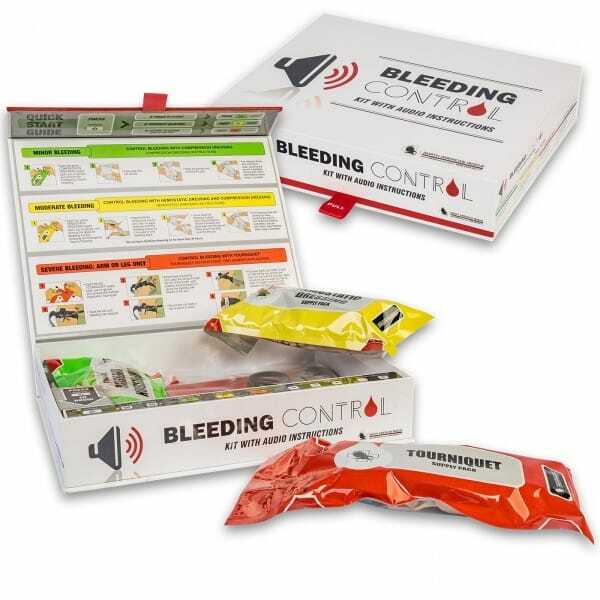 Along with visual aids, the Audio Bleeding Control Kit has instructions in English and Spanish, and three color-coded sections full of equipment needed to deal with different levels of injury. The kit is lightweight and easy to store anywhere. Car camping doesn’t necessarily mean you’re in range of cell service. In case of flat tires, breakdowns and other emergencies it’s nice to have a lifeline to the outside world. Somewear, from Somewear Labs, is a compact, lightweight (3oz) personal satellite hotspot that pairs with iOS & Android devices for global 2way text, location sharing, weather updates, emergency SOS services and more. Simply turn the Somewear unit on, open the Somewear app on your phone and begin texting. Whether it’s to inform a loved one you’re running late or to check the weather before heading to the next camp spot, Somewear is there when you need it and conveniently tucked away when you don’t. Perfect for any emergency kit. Units can conveniently be activated m2m for as little as $15 for the winter months, or keep open a 1yr plan for $100 to cover you for road trips across the country in the summer. Campers should try to carry a 0.25 ounce tube of Bag Balm. 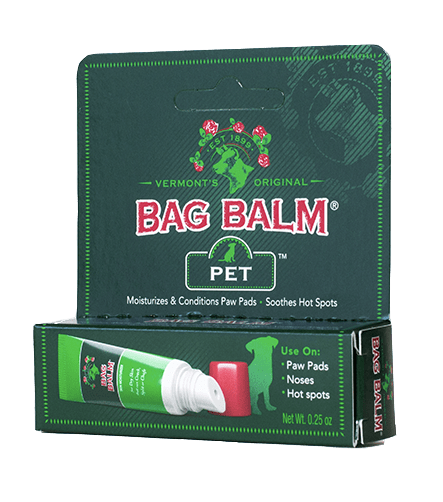 Bag Balm moisturizes dry skin, prevents blisters, heals chapped lips, protects hands and cheeks in the cold, soothes sunburn, moisturizes pets' dry paws and noses, soothes pets' hotspots and insect bites. It is safe and effective for all ages, does not expire, and a little bit goes a LONG way. No matter what kind of camping you do, you need reliable skin care products that can help your skin recover from the outdoors. Colorado Aromatics Cultivated Skin Care is formulated for the outdoors person. Our Knuckle Balm is a great, multipurpose skin balm to use for any nicks and scrapes to the skin. It contain some rich oils including shea butter and cocoa butter along with the herbs calendula and plantain. 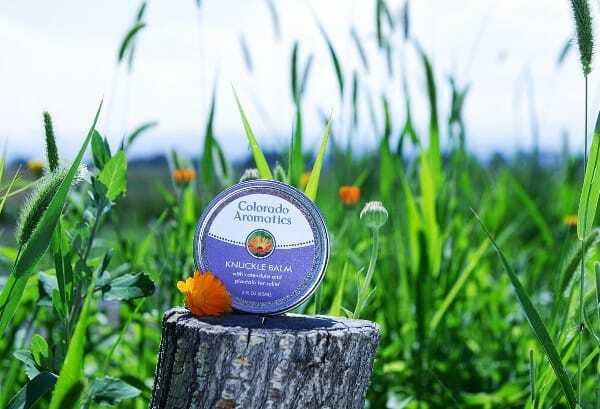 Colorado Aromatics is a natural skin care line that uses the power of herbs and science for peak performance. 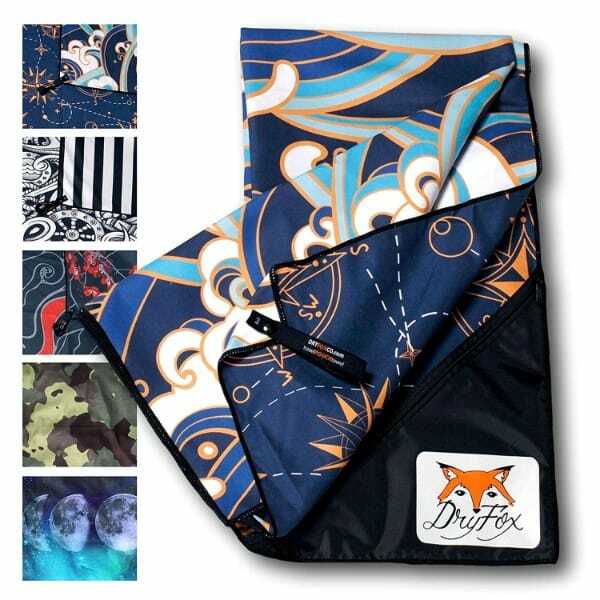 DryFoxCo has reinvented the towel with car campers in mind making them lightweight, absorbent and quick drying. Plus they’re the only towel on the market with a water resistant pocket for concealing your valuables like your phone, wallet and car keys. DryFoxCo towels are made of the softest microfiber with the perfect XL size for covering your entire body after getting out of the lake. They are built to last, making them economical and environmentally smart. Weighing only 8 oz, they easily fit in a backpack. When you are in a small tent, the last thing you need is even more stuff on the floor. 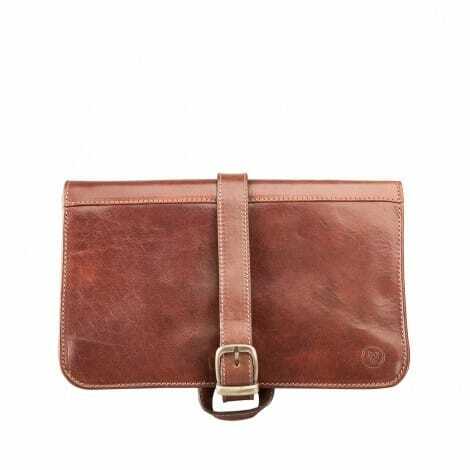 The leather wash bag is designed to be hung up, for example, from one of the tent poles. In addition to saving space, this also makes sure that your toothbrush will not come into contact with the floor and is a hygienic solution for any camping endeavor. The Handle Plus is an all-in-one solution that makes using your tablet as easy as it should be. 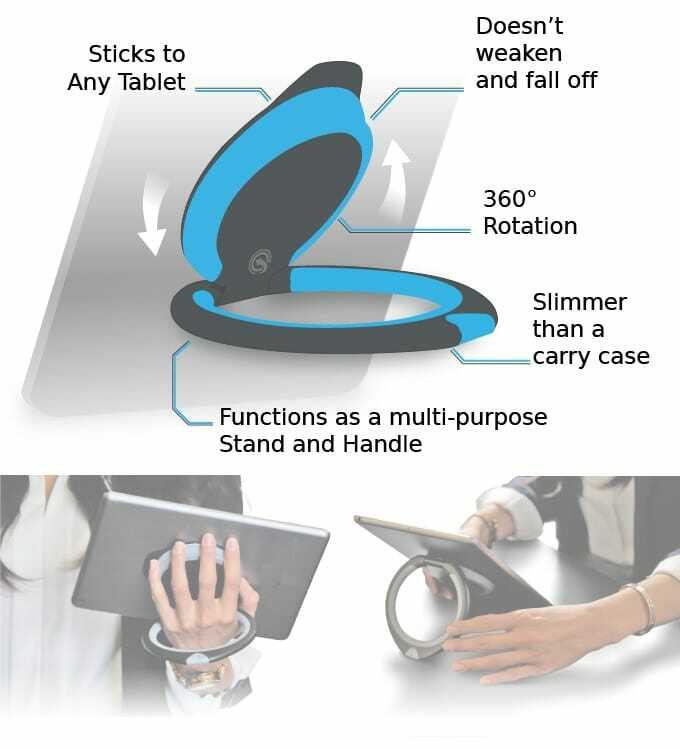 It works as a stand, a handle, a carrier and even a hanger for ANY tablet, of any size. It brings iPads/tablets into the realm of one-hand, easy to hold devices. The Handle Plus is an instantly attachable/detachable handle (it has infinitely reusable stick/suction tech) – perfect for car travel and when needed - handling coffee, briefcases, purses, etc. - it takes care of an iPad/tablet with one finger. 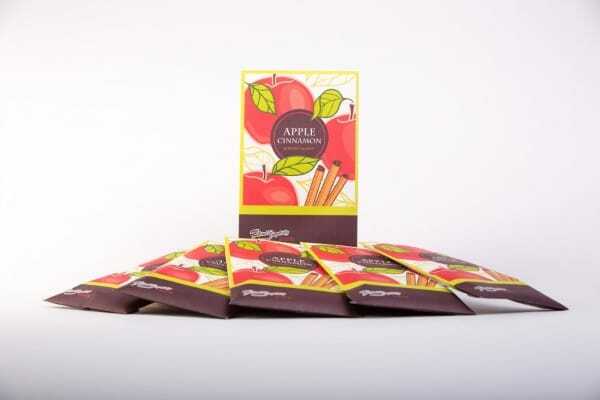 Floral Simplicity Scented Sachet is a traveler's secret weapon. Floral Simplicity offers fantastic smelling sachets that are perfect for popping in a backpack/luggage or car to keep stinky odors from clothes and unwashed goods at bay. The "LaundryBasket" scent smells amazing. Minnie by OLIKA is a bird-shaped hand sanitizer spray. This hand sanitizer spray will certainly be a camping essential for your next car camping trip. Minnie is cruelty-free, vegan and gluten-free. With essential oils and nourishing aloe vera, the natural formula quickly cleanses the hands and hydrates for up to 24 hours. One Minnie replaces 15+ bottles of comparable gel based hand sanitizers. It was just named one of the best hand sanitizers for travel by Conde Nast Traveler. Whether you are car camping or travelling by airplane, space is a consideration. This collection of products body care products is compact, calming, great smelling and easy on the environment. 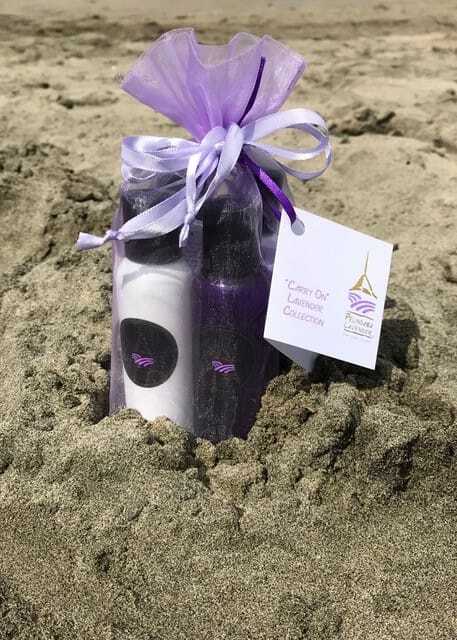 Pelindaba Lavender's Lavender Carry On Collection, designed specifically for travel, is a highly convenient collection of compact sizes of handcrafted Lavender Hand & Body Lotion, Lavender Essential Oil Shampoo, Lavender Essential Oil Conditioner and Lavender Body Wash. Pelindaba Lavender hand-crafts all of its lavender-based product on its San Juan Island, WA farm, where it grows over 25,000 organic lavender plants and distills its own pure lavender essential oils. The Lavender Carry On Collection is a must for the minimalist packer. Lavender has been used for centuries for its healing and calming properties. These grills are truly groundbreaking. 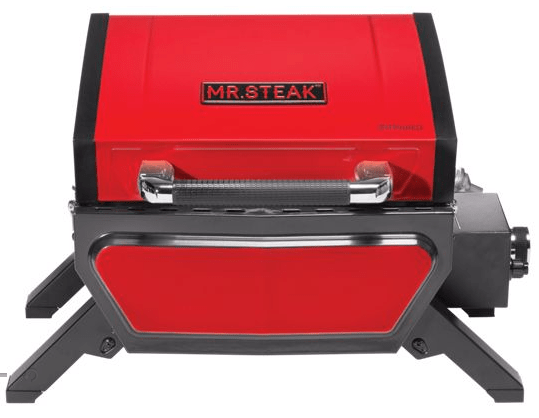 They’re portable, infrared grills by Mr. Steak, and were developed to elevate the outdoor cooking experience and feature the same technology used by steakhouses. It allows adventurers and outdoor-loving cooks to have the highest quality grilled meats, veggies and more anywhere the grilling experience takes you. They utilize radiant infrared heat and are able to reach up to 1,000°(F) in 1-2 minutes and cool down in approximately 5 minutes. 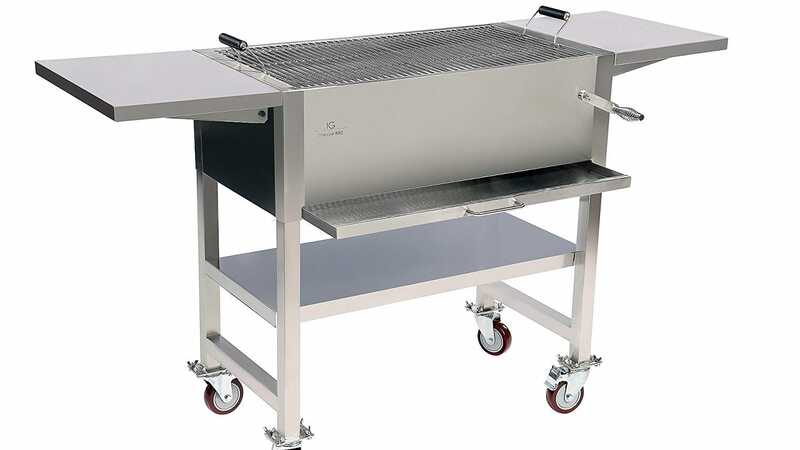 The grills feature advanced ceramic infrared burners that deliver up to 14,000 BTUs and a sturdy industrial design with non-skid legs that easily fold up for seamless transport to make for more stable cooking surfaces. A great appliance for car camping is our IG Charcoal BBQ. IG Charcoal BBQ is a stainless steel charcoal barbecue. This barbecue is multi-functional with a grill top that is made especially for cooking skewers. The grill also has other features such as a rotating charcoal handle for raising and lowering the heat level of the charcoal. The grill comes with a sliding ash collector tray for easy and fast cleanup. Lastly, the grill has folding side trays and easy installation. Everyone needs their coffee, especially when you're on the road. 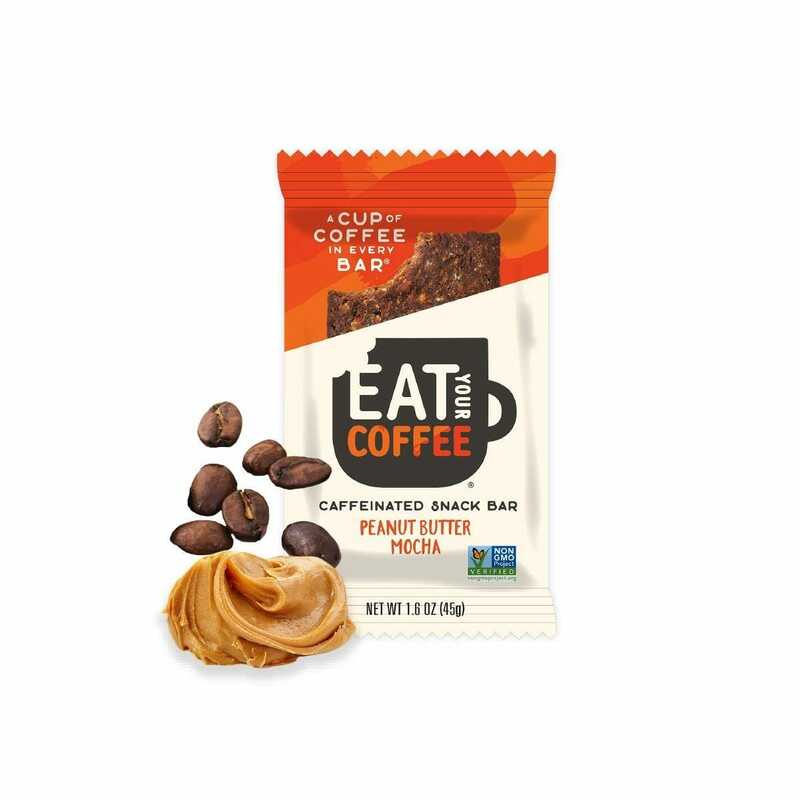 Eat Your Coffee Bars are vegan, gluten-free, non-GMO, and packed with 80mg of caffeine from real, fair trade roasted coffee. Whether you're driving to the final destination and need a boost or don't want to hassle with a portable coffee maker, Eat Your Coffee Bars are the perfect fix. They are available in three delicious flavors sold in 8-packs or 15-packs. Alpine Start makes a premium instant coffee perfect for adventurous souls, those who love to travel - and well, everybody who loves coffee really. On top of that, premium instant coffee is all the rage right now (and makes for a perfect stocking stuffer). Alpine Start was founded by a pro-climber (Matt Segal) and a professional Foodie (Alex Hanifin) two years ago. They set out to change the game and create an instant coffee that actually tastes good. They start with a premium 100% high altitude Colombian arabica bean, gently process it to retain flavor, and package it up ready for you to dissolve in any liquid - hot or cold. 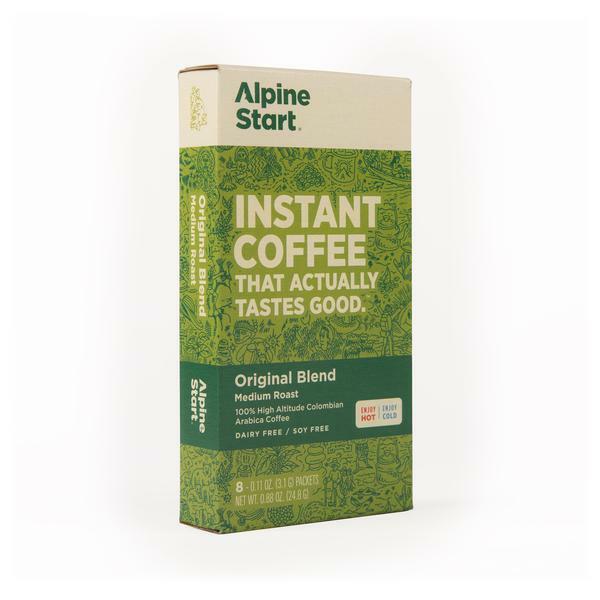 Alpine Start is beloved by its fans because 1) they make a great tasting instant coffee that can be enjoyed anywhere, 2) they’re lightweight and compact, easy to slip into a bag making it really convenient 3) Alpine Start dissolves in hot or cold liquids, making it super flexible. Durable, functional, space-saving items are highly sought after by most road-trippers and campers. The Nomader Collapsible Water Bottle checks all these boxes and more, making it both innovative AND useful. 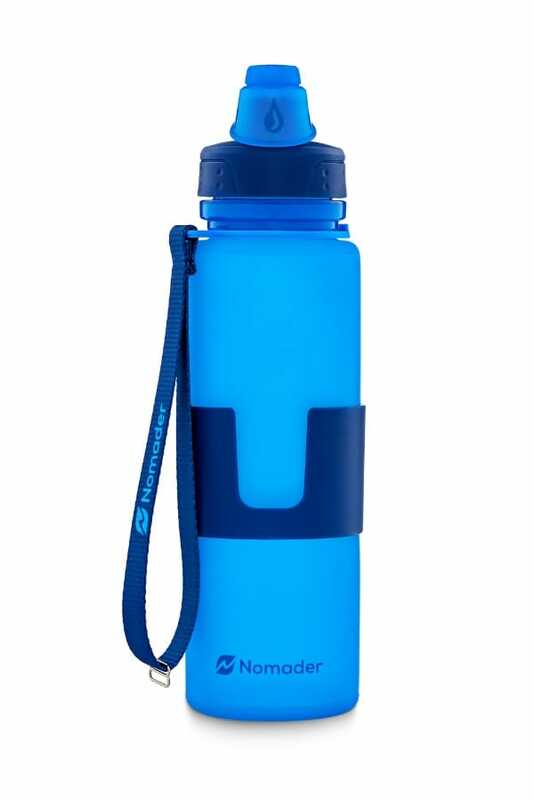 From its extreme portability to its leak-proof cap, the Nomader bottle is ideal for all types of travel. As an added bonus that simply cannot be overlooked, this water bottle comes with a lifetime warranty and a 100% satisfaction guarantee. Bowls or lawn bowling has been around for over 5,000 years. It’s time for a modern American version of the game. It’s time for Murbles, a modern family friendly outdoor game. 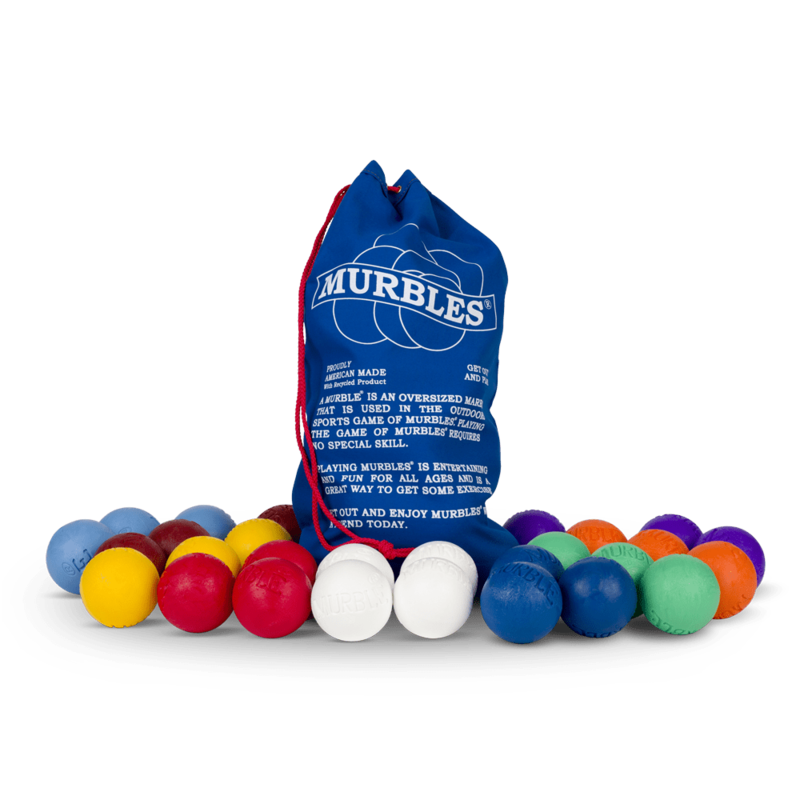 Murbles are American made with durable hi-density polyplastic. All ball diameters are just 3 inches and they weigh about 1/2 pound each. Murbles are just right for smaller hands and older shoulders. Murbles requires no special skills, court or physical abilities so it’s great for players of all ages. You can play almost anywhere. Game rules are printed on the back of each bag. Simply dump the Murbles out of the canvas tote bag and it’s “Game On.” Murbles are perfect for camping, tailgating, picnics, family reunions or just out in the backyard. Beyond gadgets and stuff, how about taking something entertaining and educational when going car camping? 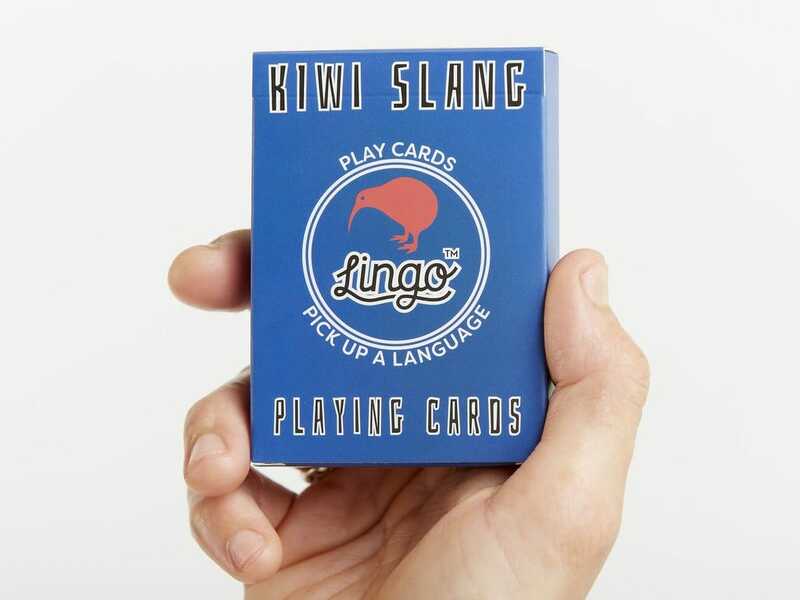 LINGO makes an innovative stocking stuffer for travelers. It is a combination of card playing and learning key phrases in many foreign languages and is a great way to connect with new friends while traveling (or even learn while playing Solitaire). The Card Caddy is the ONLY playing card case that turns into a discard tray so you can keep your cards safe, then play anywhere, anytime. We're all looking for ways to spend quality time with friends and family and a game of cards is a great way to do it. But those paper boxes the cards come in fall apart quickly and then your cards are easily lost or damaged. When it's time to play a game, those draw and discard piles get knocked over and it's tough to play if you don't have a level surface. 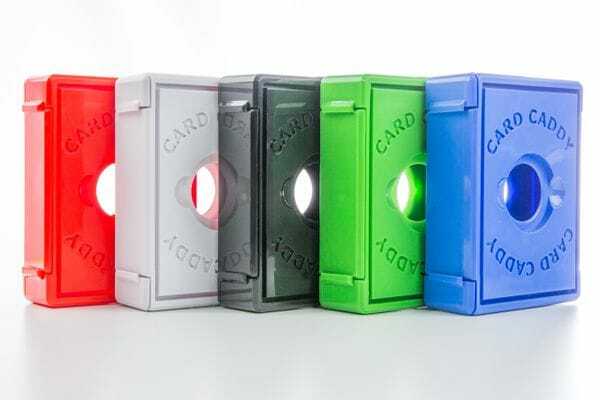 The Card Caddy solves both of these problems and appeals to a wide market: from parents who want a portable alternative to their kids playing on their devices, players of traditional card games like Bridge, Canasta, Rummy, casino games and countless others, and tabletop gamers and collectors of trading cards. 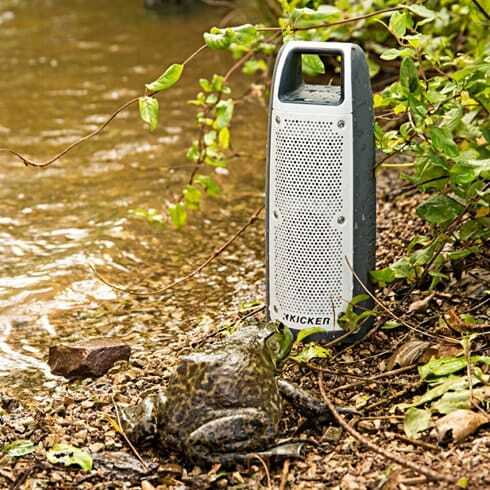 For the outdoor adventurer with the killer playlists: the Bullfrog BF100 is the go-to speaker for on-the-go, all-terrain fun. It is completely waterproof and floatable - take it in the ocean, on a kayak, or underneath a waterfall. It’s fully protected from rain, snow, dust and dirt - and with an IP67 rating it can float and can also be submerged in 1m of water for up to 30 minutes. 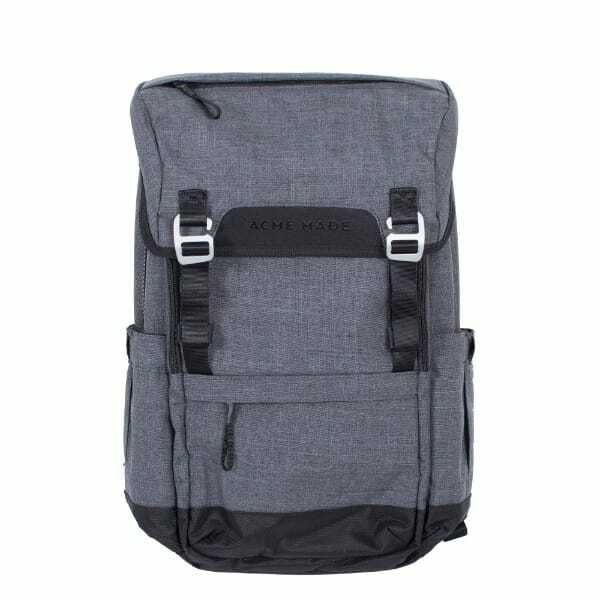 The BF100’s compact design and lightweight build makes it perfect for throwing in a backpack for a day hike or including in a carry-on for traveling. It has a battery life of 12 hours and also includes hands-free speakerphone capabilities. It weighs approximately 2 pounds and is the size of a water bottle. For those who are still digitally connected when they camp, a dead cell phone battery can be inconvenient or even dangerous. Here are a couple PureGear accessories that will keep your phone's battery alive. 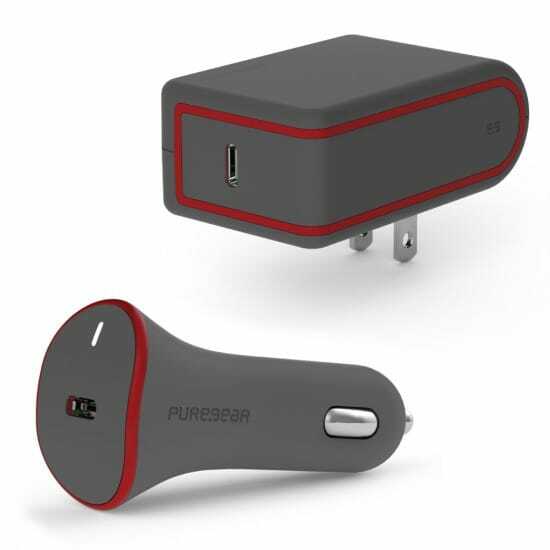 The PureGear USB-PD car charger features 4x faster charging of your phone, tablet, or laptop-- especially handy if you've only got so much time to charge your phone. 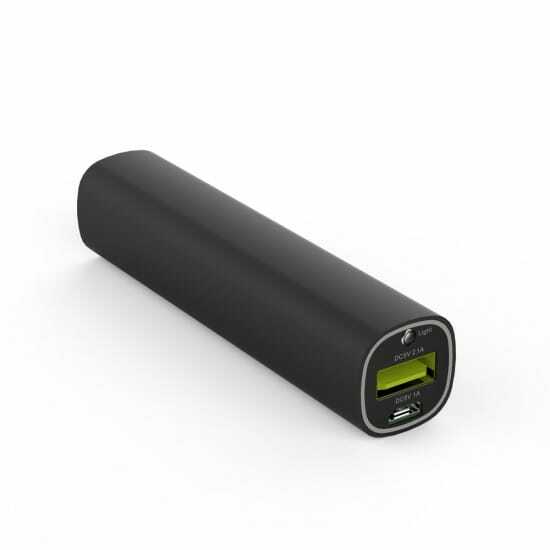 The PureGear PureJuice Portable Charger is lipstick-sized portable charger for your cell phone, so no dead phones or scrambling to look for a wall outlet. 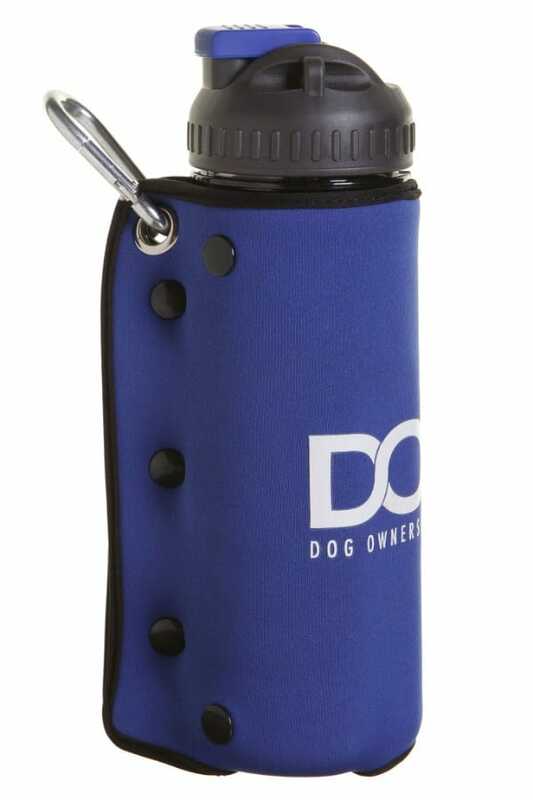 For the dog-loving audience, the DOOG 3-in-1 Water Bottle for the dog owner who is traveling with their canine companion in planes, trains, automobiles or by foot. The unique neoprene wrap that covers the BPA-free, shatterproof bottle not only keeps the water cold, but unsnaps to become a water bowl for your dog. The fabric dries quickly and is also anti-microbial so it doesn't retain the dog's odor. 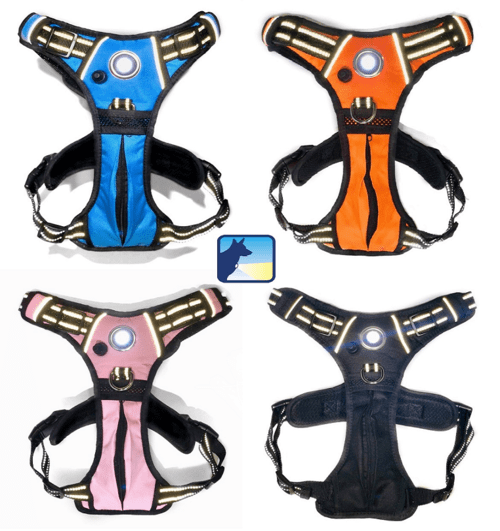 A headlight harness from headlightharness.com will make a perfect gift for all dog owners this year. This patent-pending dog harness provides superior lighting both for the user and those in their immediate surroundings. Highly reflective, water resistant, and lightweight, the Headlight Harness is equipped with an integrated, focused beam LED in the chest, which projects light up to 100ft. This lights up the path ahead while making both human and dog visible to everyone in the area. The Headlight Harness also keeps pets secure in any vehicle. Simply sit them on the seat and run the seatbelt through the sturdy handle on the back before buckling them in for a safe, secure, and calm ride. We hope this list has given you some ideas for your next road trip campout. Whether you’re basking in the warmth of the campfire or the glow of the dashboard, the gear you choose to bring or choose to leave behind can make all of the difference. Whatever you end up taking and wherever the open road ends up taking you, we hope you always stay safe and have fun!